CLOSEOUTS. 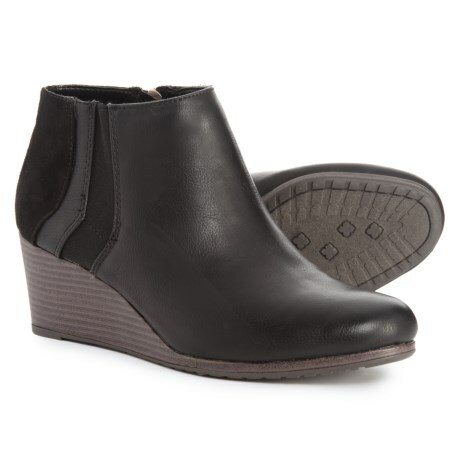 As versatile as they are on trend, these Dr. Scholland#39;s Chelsea Wedge ankle booties pair easily with work or weekend outfits. Available Colors: BLACK. Sizes: 7, 7.5, 8, 8.5, 9.